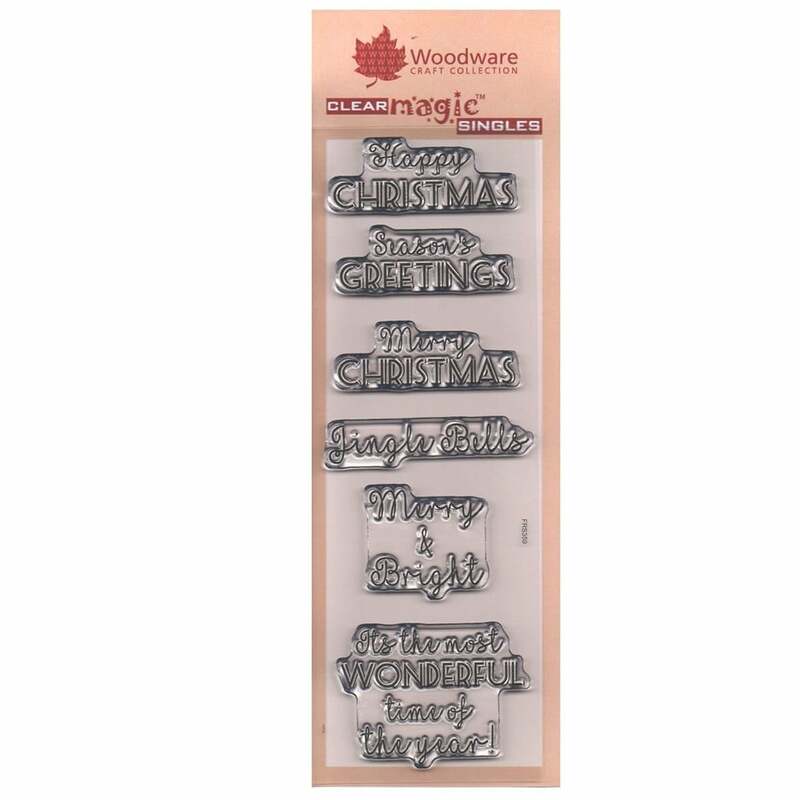 Christmas words of cheer to add to all your paper and card making projects. Woodware polymer stamps are ready to mount on an acrylic block. Ideal for the inside or out side of cards.